Wendy Greenwood from Greenwood Crafts will be demonstrating pottery on her kick wheel and will also be showing how Raku pottery is made. Lace Making - Cleveland Lace Guild. 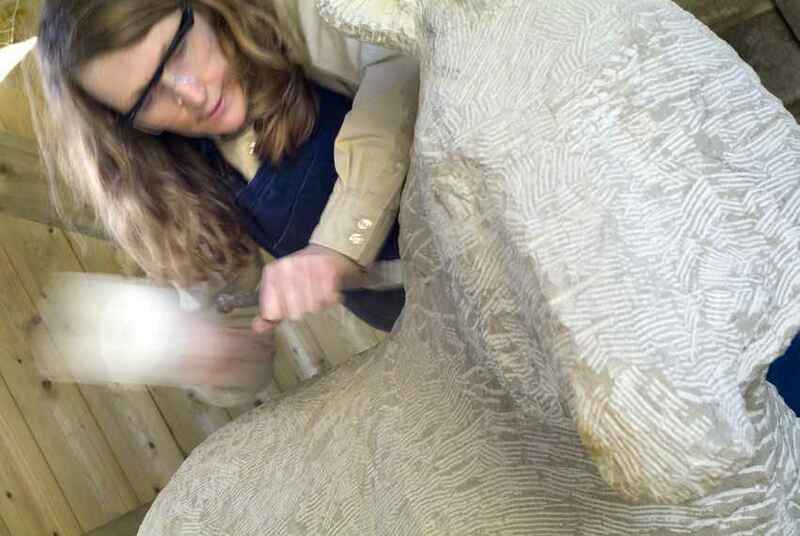 Cleveland Lace Guild has approx 90 members, who have an interest in lace. There are monthly meeting/workshops, which cover a wide range of crafts, including bobbin lace, needle lace, patchwork, beading, embroidery and crochet, but with a major emphasis on lace. Meetings are held on Saturdays at Egglescliffe Community Centre, Durham Lane, Eaglesliffe, TS16 0EH, from 10am to 3.30pm. The next meeting is on 14th September. Visitors pay £1 for the day, members pay £3 per year. 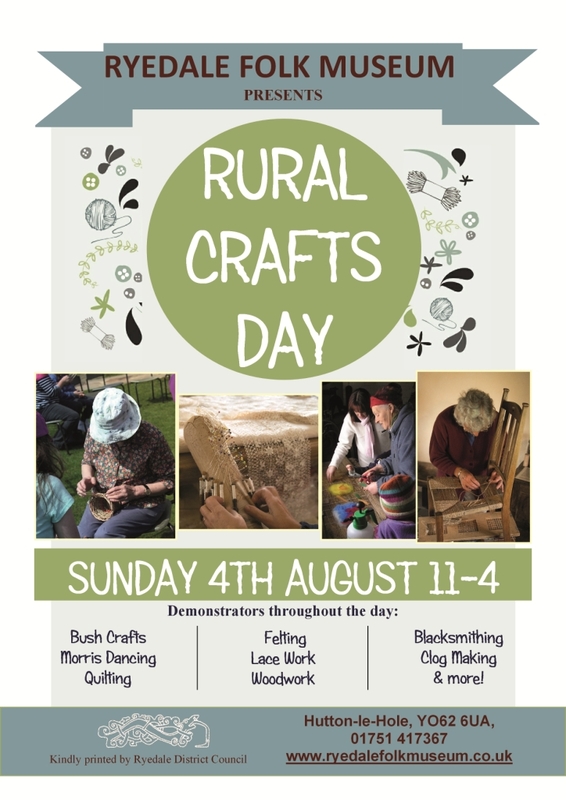 Bring your own craft work and a packed lunch. At 1pm, Pat Martin will give a talk on 'The Royal Wedding Flowers' and Lacemaid will be there with lace supplies. For more details, phone 01642 783840. 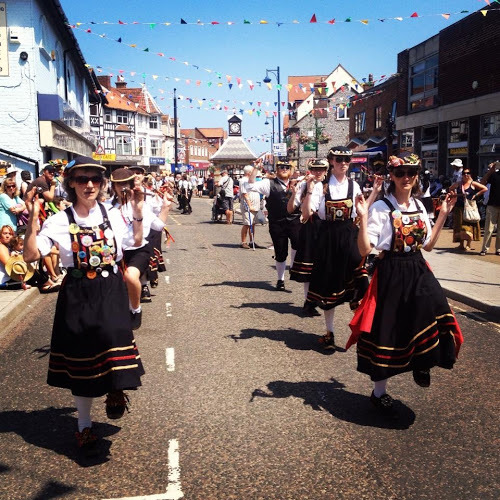 Briggate Morris are a women's group who dance Northwest style Morris. They have members ranging from 8years old to founding members who are in their 80's. Heavy Horses - Max our Clydesdale. Learn how Max our horse is looked after by his owner Graham Slater. There will also be a children's trail around the museum to try and complete! 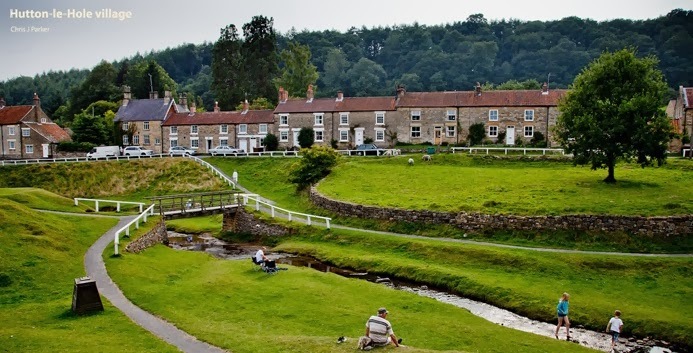 Ryedale Folk Museum is gearing up for another year’s entry to Yorkshire in Bloom with Judging next Tuesday! Yorkshire in bloom is an annual award and is part of the Royal Horticultural Society’s Britain in bloom. This is the Ryedale Folk Museum’s 8th year taking part. In our first year we won silver followed by five consecutive ‘Yorkshire Rose Gold’ awards in the visitors’ attraction category. But last year the Museum finally won Gold and best in category! ‘Its not just about the flowers and plants its about the whole museum, public awareness, conservation, recycling, growing better communities and improving our environment. The reason we win is thank to staff and volunteers working hard throughout the year to achieve a high standard within the museum’ Kevin Simms Museum Manager. This year the museum has done some extra planting and bedding, and has run awareness events like their recent ‘Bee Aware’ all around the importance of bees. The Museum is really pleased to take part in such a prestigious event and is continuously trying to improve, now the challenge is on to remain Best in Category, can we do it for two years running? 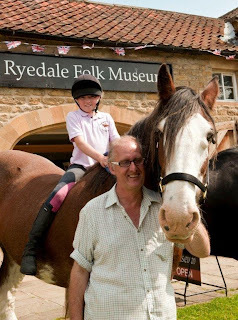 Ryedale Folk Museum shortlisted for major tourism award! 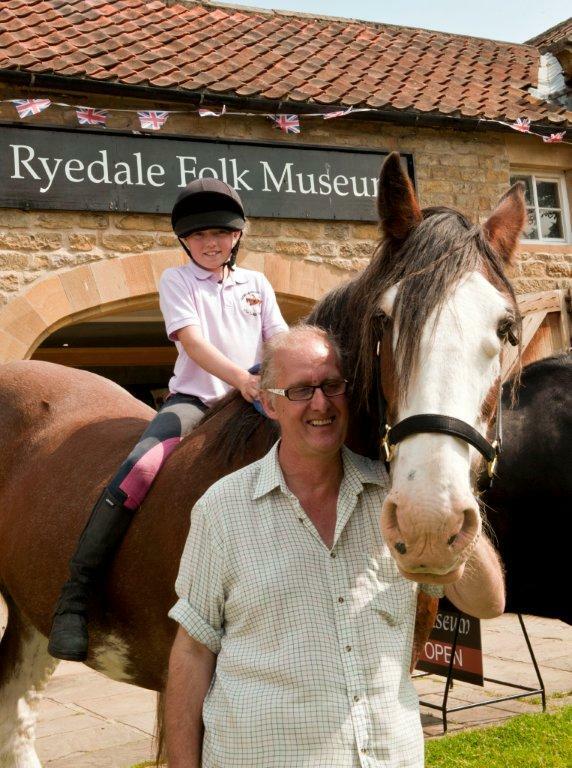 Ryedale Folk Museum has been shortlisted for a White Rose Award – the biggest tourism awards in the UK. 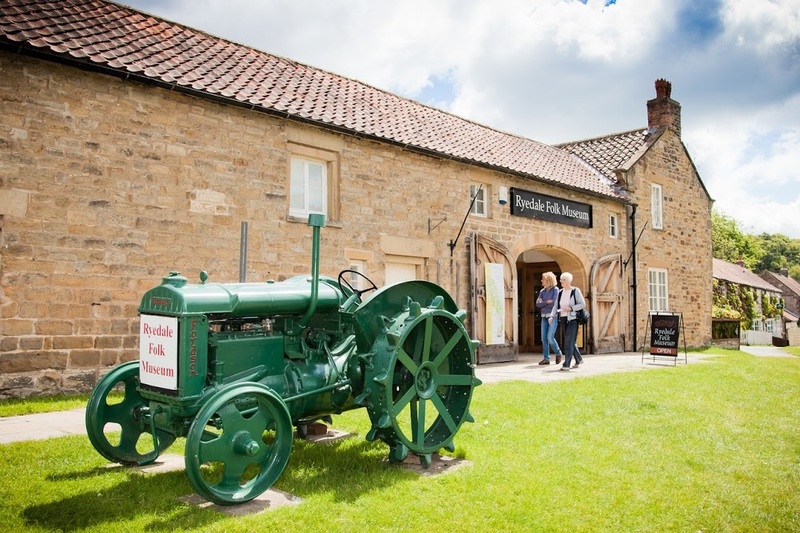 The Museumhas made it through to the final of the ‘Small Visitor Attraction’ category. Winners will be announced at the glittering ceremony on November 11 at New Dock Hall near the Royal Armouries, Leeds. Winners of each category will not only scoop one of these prestigious accolades, but they are also entered into the national tourism awards next year.